Pianist Hal Galper’s latest release incorporates influences and approaches from multiple camps, a reflection of the versatility he displayed during lengthy stints with Chet Baker and Phil Woods. But it’s a sign of his growth as a player that he does it in a manner that’s neither tedious nor imitative. Galper sometimes opts for the lyrical, fluid sensibility popularized by stylists like Bill Evans and Brad Mehldau. But on other occasions he works in an edgier mode. His trio, like Evans’ and Mehldau’s, is superbly interactive. Bassist Jeff Johnson and drummer John Bishop function as equals, even if Galper usually establishes the direction. Galper’s penchant for melodic and harmonic surprise is evident early on. The disc’s second piece, Ron Miller’s “Babes of Cancun,” veers toward the avant-garde, powered by Galper’s darting solo and Johnson’s explosive statements; their work is ably contrasted by Bishop’s steady, emphatic textures. But while he becomes increasingly animated, Galper never resorts to gimmicks, and his playing remains tight and controlled. He moves even further outside with “Suspension,” one of three Galper originals, and on the eight-minute title track, Galper’s “Trip the Light Fantastic,” the pianist deftly builds drama, with flourishes and expressive runs converging into a memorable and delightful solo. The third Galper piece, “Get Up & Go,” proves just as rigorous as its title suggests. There are also plenty of distinctive moments in the unit’s treatments of standards. Galper eschews the waltz tempo Evans made famous with his version of “Alice in Wonderland”; instead, he turns the tune into a spirited romp that deftly extends yet doesn’t distort the original’s rhythmic structure. The trio’s rendition of Jule Styne’s “Guess I’ll Hang My Tears Out to Dry” is more intimate and reserved, though Galper’s melodic reading is gorgeous. The finale, “Be My Love,” was once a showcase for Mario Lanza’s operatic exploits in the film The Toast of New Orleans. 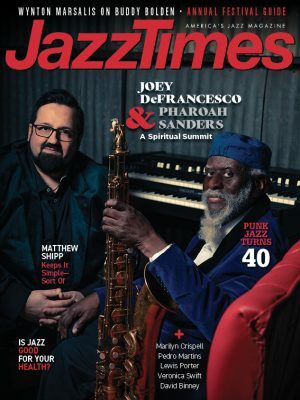 The trio’s updated version features Galper ripping his way through another strong solo. 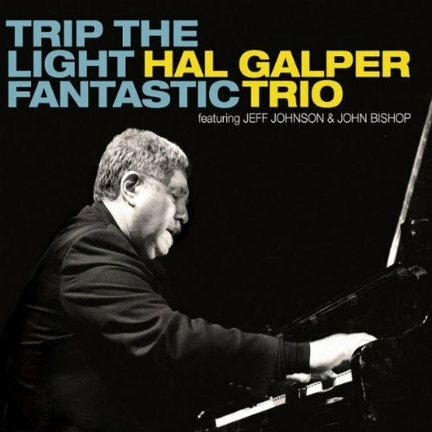 It’s an excellent conclusion to Hal Galper’s finest trio date.